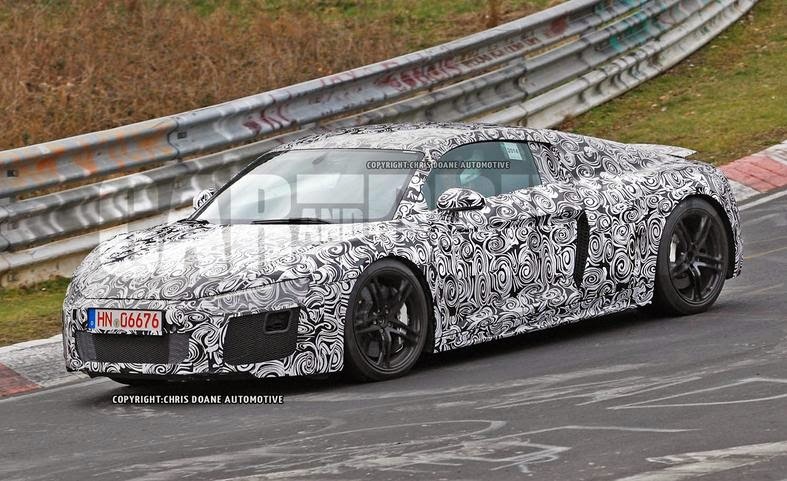 This is the next generation Audi R8 being tested at the Nurburgring. 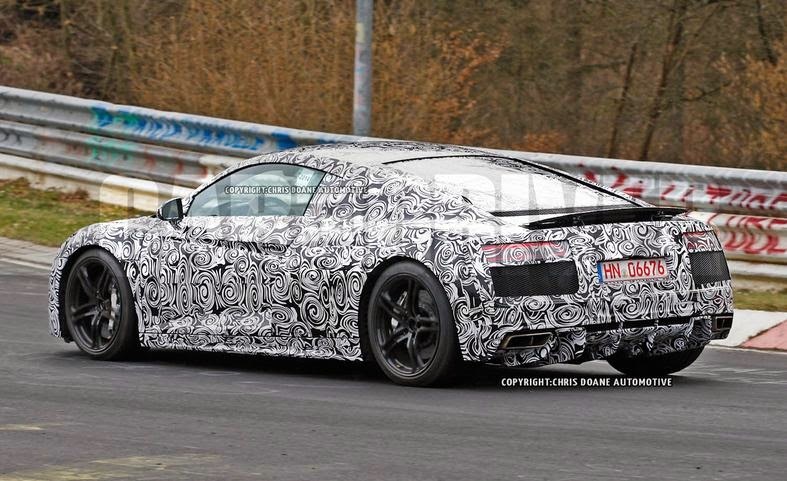 Audi seems to be going down the Porsche 911 route of evolutionary design with its flagship R8. 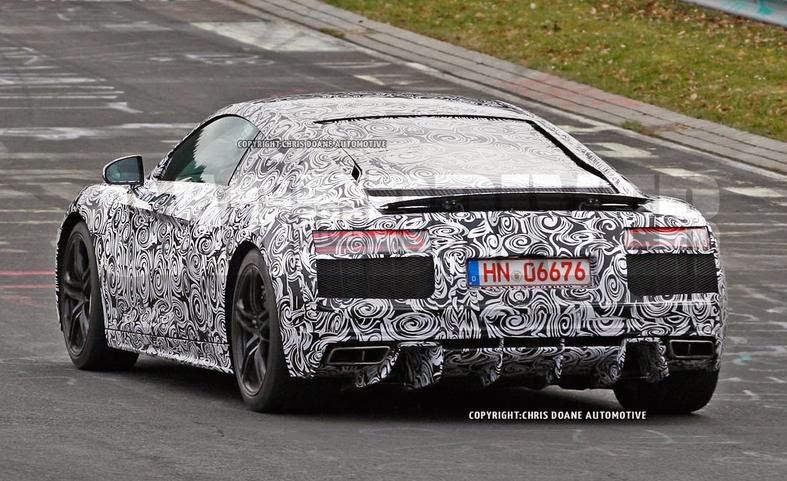 These spy shots, captured by Chris Doane Automotive for Car And Driver show the next generation R8 at the Nurburgring, and it doesn't look a great deal different from the current one. Even though the R8 still looks pretty fresh it's been around since 2006 so is overdue a refresh, particularly with regard drivetrains and interior. 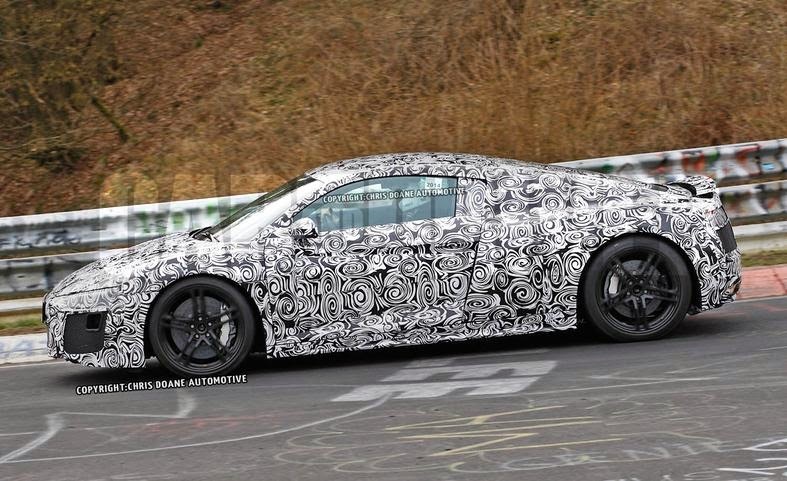 The 2015 (or 2016 if you're American) R8 shares a platform with the Lamborghini Huracan and will be four wheel drive with a mid-mounted engine. The car will use the 5.2 litre V10 from the current R8 (Speedmonkey review here) as well as a V8. The gearbox will be a 7-speed S tronic unit and manual will be offered some time after launch. As well as petrol engines the R8 will be available with an electric drivetrain, said to have a 280 mile range. 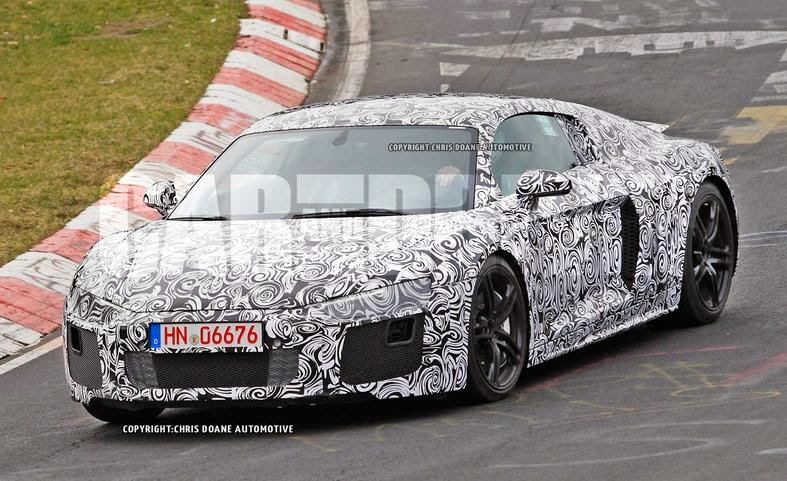 The next gen Audi R8 should launch in early 2015.